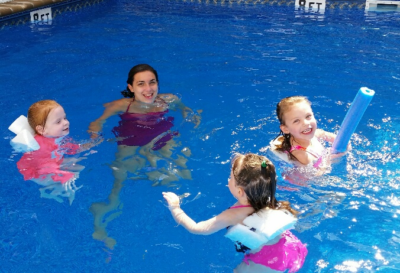 Swim lessons are available daily at HCA for Children that attend our Summer Camp program and those that do not. All swim students are instructed by Red Cross Trained and Certified Lifeguards and Certified Water Safety Instructors. No matter your child’s swim ability (beginner to competitive), Hillcrest’s swim instructors will guarantee progress and success! Children may join our swim program and receive the individualized attention they need to make them a better swimmer. HCA also offers swim instruction for children that do not attend Hillcrest Summer Camp Program. These lesson programs are broken down into 3 Summer sessions. Each session is three weeks long. Children attend lessons Monday through Thursday, and can choose from 12, 24, or 36 lesson packages. The program for our campers is offered during both four week sessions. Parents can choose 2, 3 or 5 lessons per week.